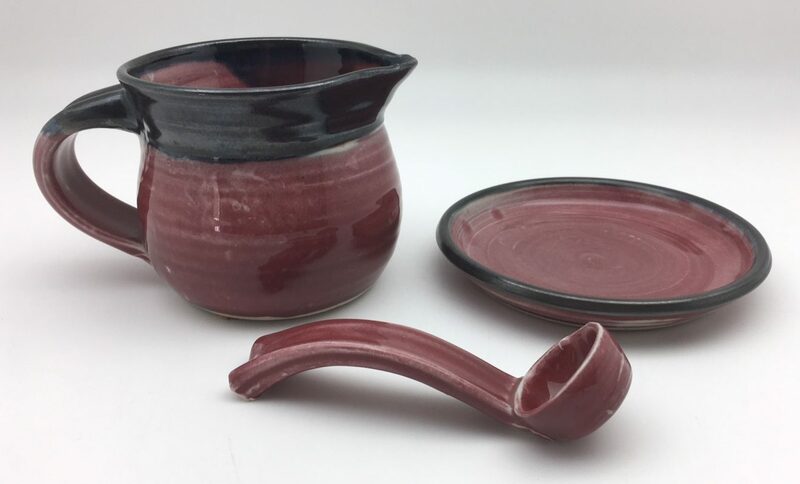 I make these three piece sets in lots of color combinations. 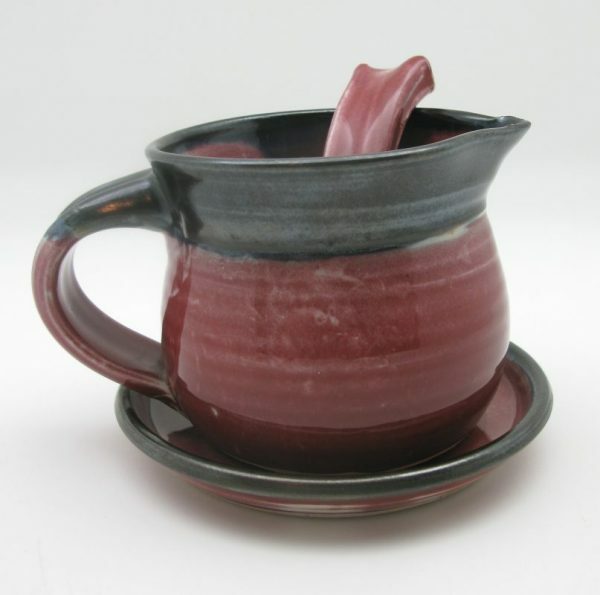 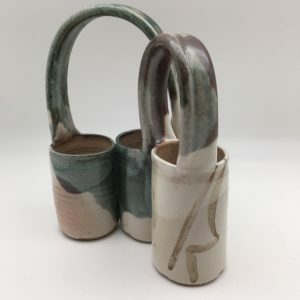 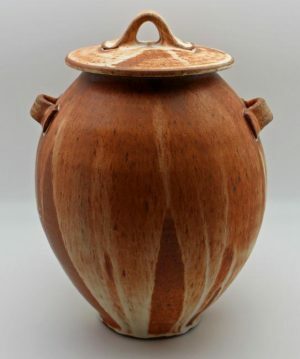 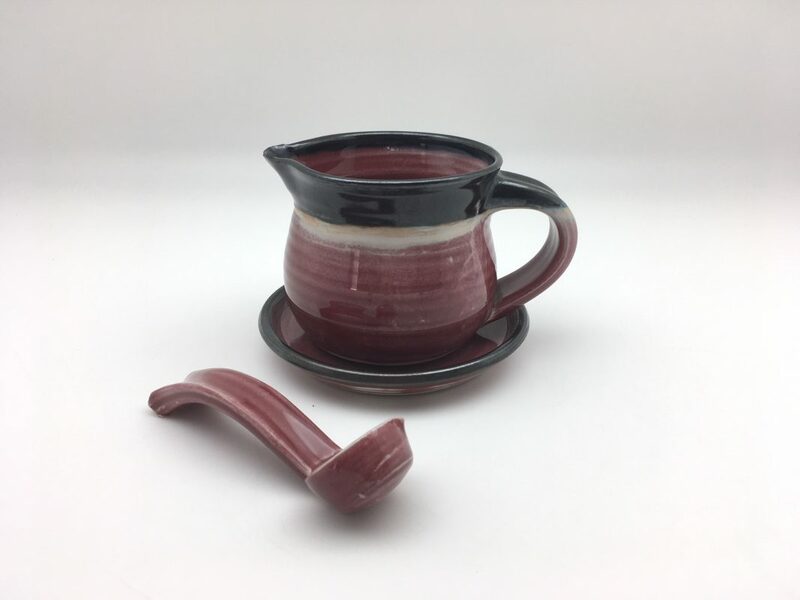 The pitcher is 3 3/4″ tall and 4″ in diameter. 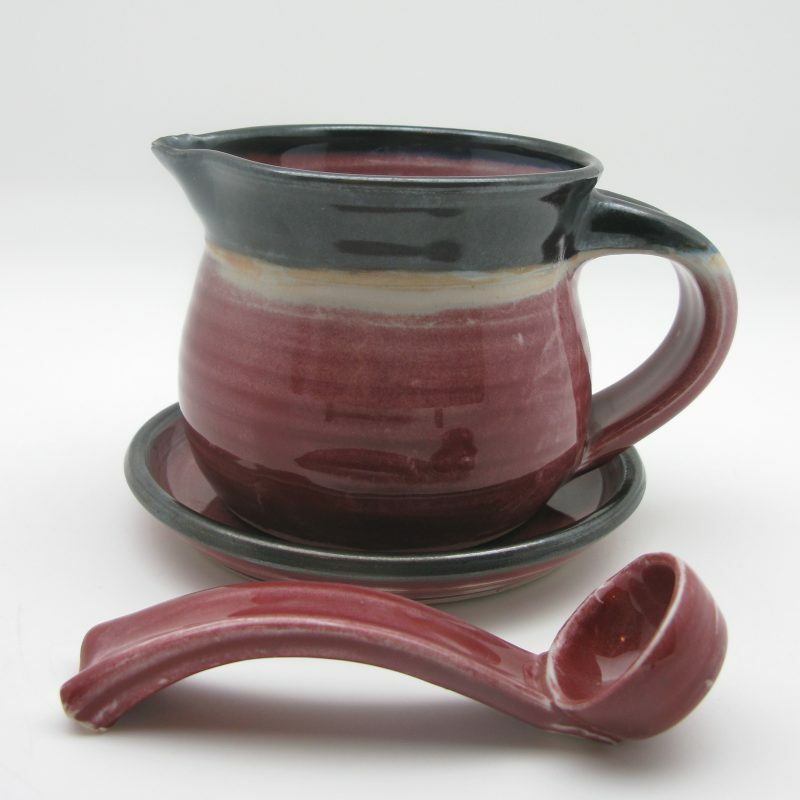 The gravy ladle is 6″ long and 1 1/2″ tall. 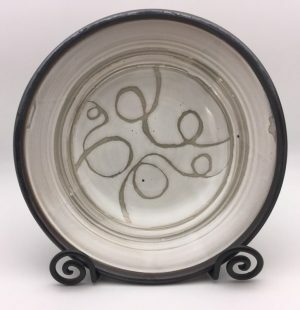 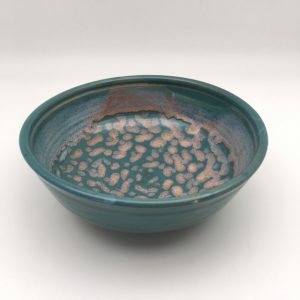 The plate is 5 1/2″ in diameter.